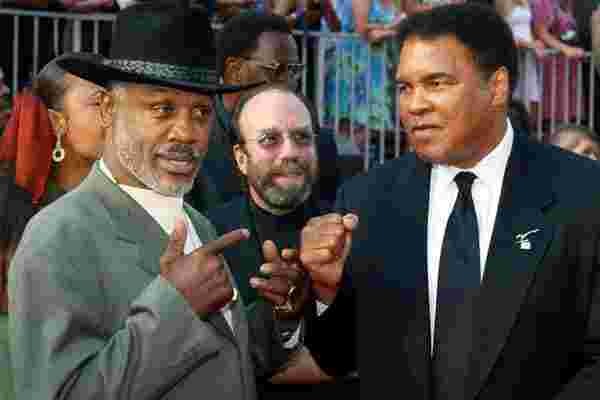 Boxers Joe Frazier (L) and Muhammad Ali pose together as they arrive at the 10th annual ESPY Awards which honor excellence in all sports in Hollywood on this 10 July 2002 file photo. Reuters. Philadelphia: “Smokin" Joe Frazier, who captured two heavyweight titles in a brilliant career spanning almost 20 years, died on Monday after a brief but brave battle with liver cancer. He was 67. The family issued a news release confirming Frazier’s death late Monday night. He had been under home care after being diagnosed a couple of weeks ago with the advanced liver cancer that took his life, a family friend said. Frazier, nicknamed “Smokin’ Joe," captured two major heavyweight titles while taking on all comers, including Ali, George Foreman, Jerry Quarry, Joe Bugner, Oscar Bonavena and George Chuvalo. Frazier was a huge part of the heyday of boxing’s heavyweight division in the 1970s. He finished his storied career with 32 wins (27 knockouts), four losses and one draw. His four losses came at the hands of just two other legendary fighters from that era: Ali and Foreman. Manny Pacquiao who heard the news after arriving on Monday night in Las Vegas for his title fight against Juan Manuel Marquez on Saturday. “Boxing lost a great champion, and the sport lost a great ambassador," Pacquiao said. “My prayers go out to his family." An estimated 300 million people around the world watched the fight on television. Frazier’s business manager Leslie Wolff said that fight has passed down through three generations and caused Frazier’s fan base to skyrocket. “If you look into the history of what took place, there is a lot of emotion," said Wolff. “When you have a legend, people respond to a legend." Frazier and Ali went on to fight twice more. Ali won a unanimous 12-round decision in a 1974 rematch at the Garden and famously completed the trilogy, winning the “Thrilla in Manila" in 1975 by stopping Frazier after 14 rounds in their epic slugfest in the Philippines. 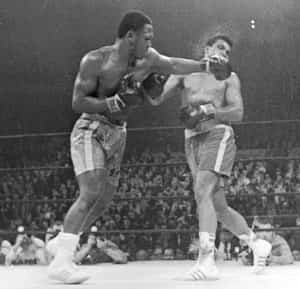 For many years after they finished fighting each other in the ring, Frazier remained bitter towards Ali because of Ali’s repeated taunts and verbal jabs. More recently though, Frazier said he had forgiven the boxing legend. Frazier won the World Boxing Council and World Boxing Association heavyweight titles in 1970 by stopping Jimmy Ellis in the fifth round of their fight at Madison Square Garden. He defended the title four times before running into the bigger and stronger Foreman in 1973. Not as well known as the Ali clashes, but almost as dynamic, were Frazier’s two lopsided fights against Foreman. Frazier began his career with 29 consecutive wins before suffering his first loss, and losing his heavyweight title, when he was knocked down six times in two rounds by Foreman in 1973 in Kingston, Jamaica. The two fought for the second time in 1976, with Foreman hitting Frazier so hard with one left hook that he lifted Frazier right off his feet. The fight was stopped in the fifth after a second knock-down. In recent years, Frazier turned to singing, forming a back-up group called the Knockouts.